Who needs natural disasters when we as human beings are so capable and talented at making our own — the BP oil spill in the Gulf of Mexico for example? Yet Mother Nature rarely cuts us any slack. She buries us in mudslides, submerges us in floods, and pummels us with hurricanes, tsunamis, and earthquakes. Mother Nature has taken quite a toll on us over the years, leading to countless deaths. And yet we seem to know so little about her, or how to predict these disasters accurately enough to save all of the lives lost. At the same time, we have no problem throwing more money and resources into things like war. So today I want to look at those two things, death tolls, and why maybe Mother Nature deserves a little more of our attention. I am personally based in the U.S., so yes, some of the following information will be coming from a U.S. perspective. You’re all fully capable of doing additional research to find more statistics related to your home countries, and I encourage you to do so. But I’m only using examples here — not attempting to come up with an unknowable cumulative total. So not every disaster you know of, even if you consider it a big one, will be included here. The same goes for military conflicts. My political views and opinions on the War on Terrorism are my own. They will not be shared here, and are completely irrelevant in the context of this piece. This article is not written to support any military conflict, and it is not intended to say any military should pull out of any current conflict either. We’re all welcome to our own opinions on that. The purpose of this article is to explore the need for more resources in the sciences that can predict devastating natural disasters like earthquakes, eruptions, and major storms before they happen. War-related death tolls are simply being used for comparison purposes to illustrate the seriousness of addressing these issues so governments worldwide can safely evacuate more civilians before disasters strike. Now that we’re clear on that, let’s get to some numbers. Let me start with a relatively small example or two from the U.S. I call it “small” in the sense of death tolls in the grand scheme of things, but the events of September 11, 2001 are hardly “small” in what they ultimately led to. 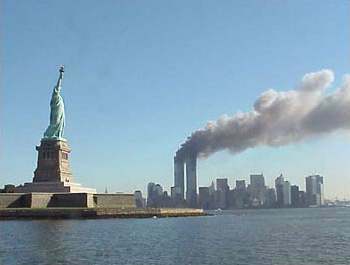 However, during that terrorist attack, it’s reported that approximately 2981 people died in the 9/11 attacks according to the 9/11 Commission Report. While not as many people were killed by the natural disaster in this case, 1836 lives were lost. That’s a lot. And yet we don’t really hear Americans talking about it as much anymore, unlike the resulting War on Terrorism after 9/11. How is it that we can be outraged enough to launch military operations, but we don’t seem to have an equal outrage pushing us into new advancements in science that could save lives by offering better predictions of when the next disaster might strike New Orleans? All in all, those are small numbers. But they illustrate my frustration with people’s reactions pretty well. Now let’s take a look at some of the bigger incidents, starting with the conflicts in Iraq and Afghanistan that occurred after the 9/11 attacks. Let me be clear though — statistics about death tolls in these incidents can be hotly debated. I’ll link to any sources used, but I do not confirm all stats are accurate. Many are just estimates, and sometimes those estimates fall within rather large ranges. They’re being used for illustration purposes only. First let’s take a look at Coalition military fatalities in both Afghanistan and Iraq. According to iCasualties.org, Coalition forces suffered 1817 killed in Afghanistan so far and 4721 killed in Iraq. I have no doubt that some of these estimates are “off,” but they give us rough numbers for comparison purposes. So let’s total them up — years of conflict leading to an estimated 146,156 dead. I’ve seen much higher estimates into 7 figures too, accounting for other violent deaths, but these are the numbers I could find that could be broken down effectively into war-specific groups — they don’t necessarily include any other terrorist attacks that took place. Both the Indonesian tsunami of 2004 and the Haiti earthquake of 2010 occurred while these military conflicts were going on. It’s reported that 230,210 people died in the tsunami and 222,000 people died in the Haiti earthquake. [source] That means just those two natural disasters killed 452,210 people. That doesn’t account for the many other disasters that killed a few hundred to a few thousand people, or more “routine” deaths related to natural instances such as automobile-related deaths during storms. Is the death toll from the War on Terrorism important? Should it be on our minds? Absolutely. But so should natural disasters — and not just when organizations are looking for hand-outs to help the victims. Let’s turn more of our attention to them now so we can work harder to prepare for them and save lives instead of just trying to clean up the mess afterward. Yes, there is research being done. But do you think it’s enough? You might also enjoy reading Worst Manmade Ecological Disasters and Failed Prophecies: Major Doomsday Predictions That Did Not Come True!